Located on the edge of Downtown Vancouver, nestled between Stanley Park and Vancouver’s Financial and Business districts, is Vancouver’s most scenic and luxurious neighbourhood – Coal Harbour. Bounded to the southeast by Burrard Street, to the southwest by West Georgia and Pender Streets, and to the northwest by Stanley Park. The neighbourhood consists of broad range of people; from young, professional singles to upper-middle class older couples who have sold their homes and downsized to luxury condominium living in Downtown. 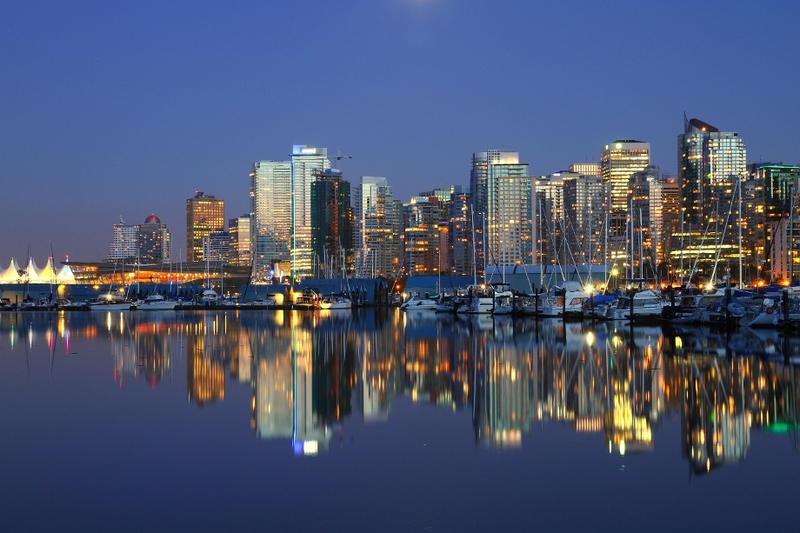 Named after coal was discovered in the harbour in the 1860’s, Vancouver’s Coal Harbour is now home to upscale high-rise condominiums, hotels, luxury townhouses, and business towers. Properties in Coal Harbour are typically more expensive than other condos in Vancouver. This can be attributed to the fact that these condos are new and located in a prime area in Downtown, and many have panoramic views of Stanley Park, the North Shore Mountains, and the Burrard Inlet. 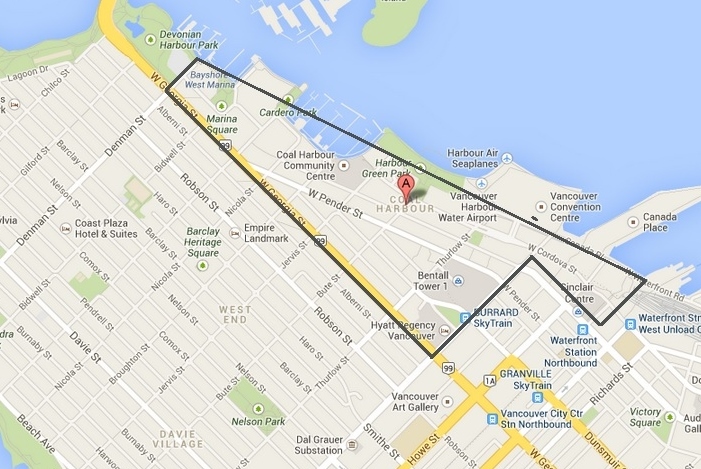 Lord Roberts Elementary School and Lord Roberts Annex are located within the Coal Harbour catchment. Both schools are within walking distance and located in between Bidwell & Thurlow Street. Lord Roberts Elementary School offers Kindergarten to Grade 7 and Lord Roberts Annex offers Kindergarten to Grade 3. Lord Roberts Elementary Schools also offer the International Baccalaureate Program. The only secondary school in the Coal Harbour is King George Secondary School, home of the Dragons. Located a block of Denman Street on Barclay Street. The high end market, Urban Fare, is located right by the Sea Wall at 305 Bute Street. They have it all; from luxurious products to every day needs, catering services, a restaurant and café, and a flower shop. For every day needs, Safeway is located in the heart of Coal Harbour at 1766 Robson Street. For all your everyday essential needs, they are open late for your convenience. For the vegan lovers, Whole Foods Market is located at 1675 Robson Street. For all your gluten-free and vegan needs, you will be bound to find it here! An amazing smoothie, hot food and salad bar for meals on the go! Coal Harbour is a short walking distance to Vancouver's busy Robson Street Shopping district featuring an assortment of stores and boutiques for everyone to enjoy. East of Coal Harbour is the historic Gastown neighbourghood featuring one of a kind boutique clothing stores and high end vintage and antique shops. Coal Harbour is home to every kind of fitness studio. From weight lifting, Pilates, yoga or boxing, they have it. The Seawall is a local favourite. It is a scenic 22 KM path that goes along Vancouver’s waterfront. You can either walk, run cycle or rollerblade this beautiful and relaxing path. The entire Seawall takes roughly around 3 hours to casually walk. Enjoy Vancouver’s beaches, nature, False Creek and views of the North Shore Mountains. Home to the Vancouver Aquarium, Stanley Park is Vancouver’s first and largest urban park. This national historic park of Canada is a 400-hectar natural West Coat rainforest featuring the Stanley Park Miniature Train, First Nations art and totem poles, tennis courts, playgrounds, Stanley Park Pitch & Putt, Water Bark, Second & Third Beach, and Second Beach Pool. Enjoy a picnic outside or have a meal at one of the parks famous restaurants, Teahouse, the Fish House, Prospect Point café or Stanley’s Park Bar and Grill. View my listings to see Coal Harbour Condos for sale.